Where can i get Nouveau Lashes eyelash treatments done? Does Nouveau Lashes test on animals? No. We are proud to be officially cruelty free. The majority of our treatments and products are also vegan and registered with the vegan society. You can find out the latest news on which items are vegan on our cruelty free info page. Is LVL exclusive to Nouveau Lashes? LVL stands for length, volume and lift. It is exclusive to Nouveau Lashes, and was innovated by founders Karen Betts and Bridgette Softley. It is the first treatment of its kind to enhance the natural lash. Ask your technician if they’re officially trained in LVL and check the products used to be certain you’re receiving an official treatment. All of our trained technicians are issued with certficates that can be shown on request. Don’t settle for second best. Use our official Salon Finder to locate your nearest official technician. What do i need to do before my Nouveau Lashes treatment? Prior to booking your first Nouveau Lashes treatment, we recommend visiting your salon to discuss the treatment and look you have in mind to ensure it will have the desired outcome. Your technician will then be able to tailor the treatment to you, or suggest an alternative. Also, prior to your first LVL treatment you must visit your salon to complete a patch test to check for any sensitivity to the products used. This must be completed a minimum of 48 hours prior to your treatment. I’m a contact lens wearer, do i need to remove them before my treatment? All of our treatments are suitable for those who wear contact lenses. We do however recommend removing contact lenses before treatments if possible. Can i have a lash treatment if i’m pregnant? Do Nouveau Lashes lash treatments damage your natural eyelashes? Are Nouveau Lashes lash treatments painful? Our treatments are not painful, and most clients actually find them quite relaxing. It’s an opportunity to lie back and close your eyes for up to 90 minutes. What is the difference between LVL and a traditional lash perm? A lash perm curls the entire lash and creates a soft curl across the entire length of your eye lashes. However, the LVL treatment curls the lashes directly at the root. Creating a more upright curl, and as a result a more dramatic effect. However, different levels of curl are available depending on the look your seeking to create, and your technician will be able to recommend what is best suited to you. 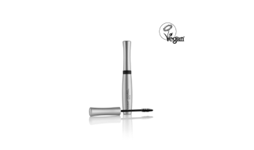 LVL also includes an eye lash tint. Creating a mascara style effect, and the appearance of added length and volume. Do i need to go back to the salon to have my eyelash extensions removed? To prevent any long-term damage to your natural eyelashes, we recommend returning to salon to have your lash extensions professionally removed or using our Lash Extension Remover at home. At the end of your treatment, your technician will discuss when you should return for removal. This excludes Express Strip Lashes which can be removed at home with a remover. My eyelashes have started to fall out, what should i do? Your natural eyelashes are probably at the end of their life cycle. The natural eye sheds its lashes every 90 days, and when they do they will take the attached lash extension with them. However the shedding is completely natural, and your lashes will grow back as part of their growth cycle. As a result we do recommend returning to salon for regular maintenance appointments to infill where your natural lashes have shed, and prevent your lashes from looking patchy or purchasing our Lash Extension Remover. Can i wear make-up after my lash treatment? Yes you can. However, we recommend using water-based mascara only following any lash extension treatment, and avoid waterproof eye make-up removers so not to damage the adhesive bond your eyelashes are applied with. Following LVL it is best to leave the eye area free of make-up for 24 hours to allow the treatment to reach its full effect, but then you are free to apply make-up as normal. Can i go swimming after my lash treatment? You cannot get your lash extensions wet for the first 48 hours following application, or 24 hours for LVL. To keep your lashes looking their best we do recommend avoiding full submersion of the lash in water (through activities such as swimming) for the first 48 hours or for extended periods of time. I think i’ve had an allergic reaction, what should i do? Signs of an allergic reaction are redness, swelling, itching, burning and pain in the eye. If you think you are experiencing a reaction to a Nouveau Lashes treatment, we recommend returning to your salon immediately to have the lashes removed. If the reaction is significant, or you are unable to return to salon please contact alternative medical assistance – do not wait. It is key that prior to any treatment is performed, you follow the pre-treatment procedure and patch test provided by your technician to prevent the risk of an allergic reaction.